I am a bad blogger. I promised to load another stationary box yesterday and I got busy. And its already evening today. Oh! its been very busy. Aditi went back to school today and I was on the phone to fix a lot of things. And I hate being put on hold and the radio blasting from the other end. Thats “the” test of patience I think!!! I had to hold for 3 such call over 15 minutes. B***** frustrating!!! Anyway, without any further delay, here they are for you. 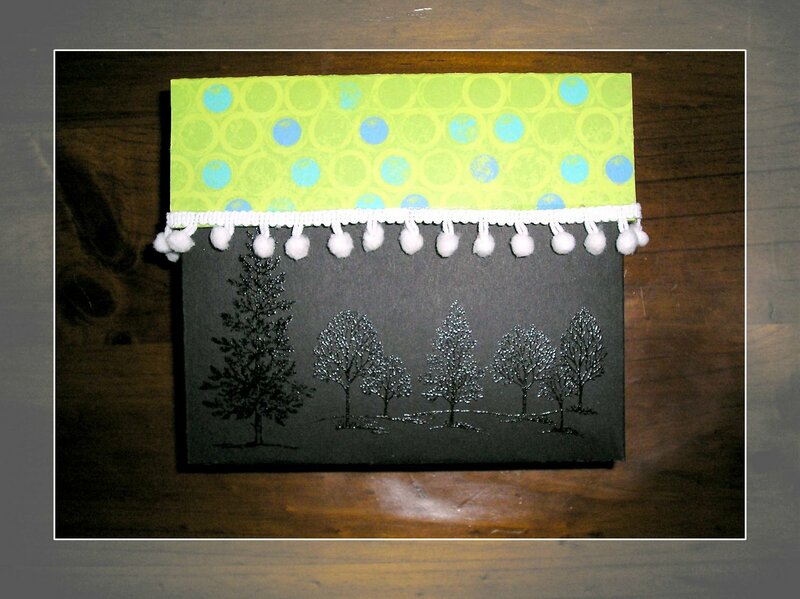 I have used Bazzill Black cardstock and Rosa Moka paper, Basic Grey Lime Ricky stickers, Pom pom ribbons, Stampin’ Up! lovely as a tree stamp set, Stampin’ Up! embossing powder and heat gun.I loved making these stationary boxes. Very cute and functional as well. My next project is making travelling suitcase. Oh!, the August Card sketch will be up in my sketch blog tomorrow along with the winner for July. Check it out and see if you can have a go at it. OK see ya after the weekend. Have a workshop tomorrow and Sunday is a relaxed day. ohhhh i hate trying to 'fix things' over the phone!!!! sooooo much hassle!!!! Love your stationary box! Such a cool creative idea!!! I also must say that I adore the background/borders on your blog!!! Very pretty!